Oh, I'm sorry. You were probably hoping for something a lot more fun and festive, like making paper snowflakes while watching It's a Wonderful Life, and snacking on fruit-mince tarts. All in good time, I promise! But today, I want to encourage you to tidy up in order to enjoy Christmas. This is a useful psychological practice at any time of the year (see below) but, at Christmas, it can become even more important. Christmas brings yet more stuff into our homes: decorations, ornaments, gifts, wrapping paper, food, which can very quickly go from "seasonal festivities" to "mess and clutter." Ideally, tidy up before you hang your decorations. We put our tree up last weekend and, before it arrived, I annoyed my entire family by insisting on cleaning the room it was in: picking things up and straightening things out, dusting the shelves and furniture, vacuuming - so that things would at least start out clean and tidy. Even if your home is already well and truly in the Christmas spirit, I encourage you to do the best you can, for your own peace of mind. Trust me! 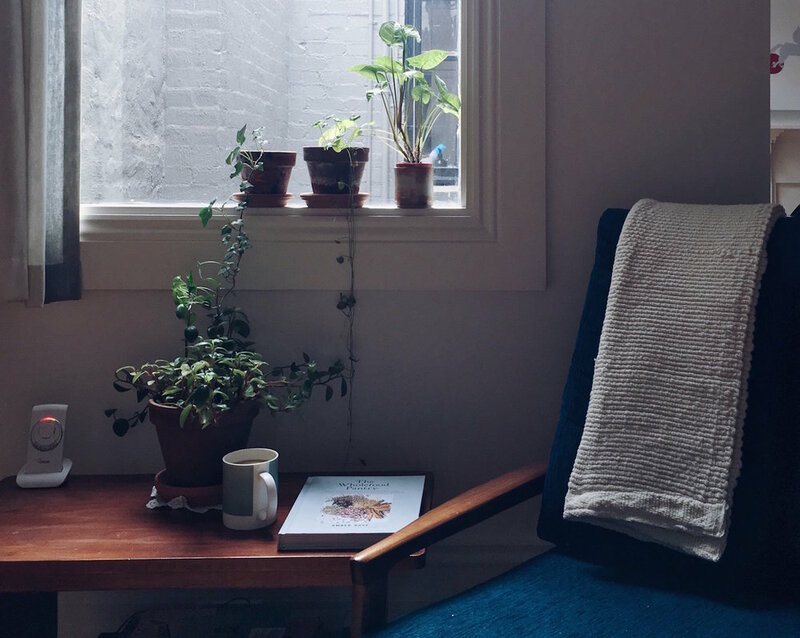 Tidying up will make a huge contribution to your sense of calm and quiet this season. What can you clean up today? Tidy the house, tidy just one room, half a room, even simply make your bed, if that's all you have time to do. Try to create at least one space in your home that is clean, tidy, and feels restful. That will be your quiet place, your mental space. If you made your bed today, make it again tomorrow, and make it that one tidy thing you do each day to create a calm home this Christmas. If you tidied your lounge room today, try cleaning your kitchen tomorrow. And your bedroom the day after that. Bit by bit, create a living space for yourself that feels clean, restful and calm.